Greetings from China! This week's case is from Dr. Valerie Ng, from University of California, San Francisco. 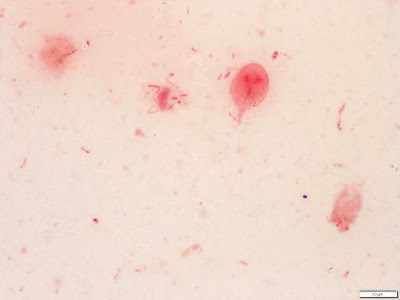 The image is from a stool Gram stain. What is it?